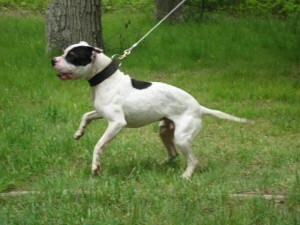 Champion Bad Boy was bred by Browngravy and Paul Storm-trooper, the guy who took Big Boy into Gr Ch Haunch. 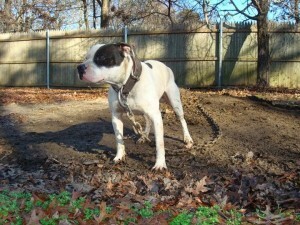 Bad boy was bred down from Ch Coachise x Bruja, a Little Gator dog. Bad Boy was raised by Browngravy. It was later in life when a decision to campaign him was made at age of 7 years old. 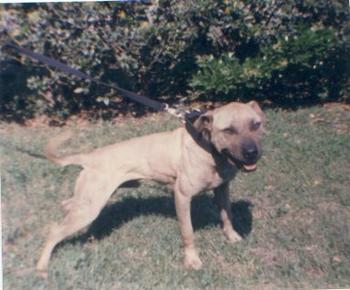 Because of some health problems (Bad Boy suffered from seizures), special care and training was needed so the famous Winchester Kennels were called on to campaign Bad Boy and we agreed. So after studying Bad Boy, me and Bill stayed up all night designing his keep. Because of his age, holistic foods were required. Since his metabolism was slow, we needed more oxygen intake to help him go the distance as well as special conditioning training as well. 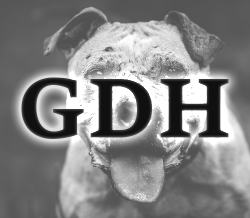 So after so much care and preparation Bad Boy was now ready … Bad boys first match was in to a 2xw 1xotc killer dog at 46lbs. With two weeks left before the show Mr. Bill fell ill.
Hunterman handled and conditioned Bad Boy with his partner, legend Mr. Bill. Bad Boy’s fourth was against some local bigmouths who said they hand picked one to defeat Bad Boy. With 4 weeks left Hunterman got Bad Boy ready and it was on! Bad Boy dispatched this one in short order. 13 minutes later, Mr. Bill and Hunterman can only smile for we knew he was a great challenge for us since Bad Boy had medical problems. 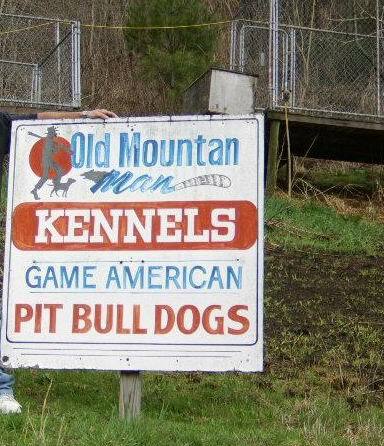 But we at Winchester Kennels always solve problems. Badboy will forever be a special part of our history. He is a great dog and one of the best in his weight today. We wish him well on his journey to his new home … Bad Boy was retired to the good life and was eventually sold to a Brazilian Kennel. How was Bad Boys mouth? Well he’d bury a deep bite so hard he broke shoulders with regularity! Some question his gameness. Well, 16 scratches, 2hours 20 minutes and never breathed hard or opened his mouth with our special conditioning. Then some ask has he produced. Yes, few winners: youngest son did 2 hours 35 min dead game. Then some ask how was he I say he was a friendly loving dog, smart as hell, never got rattled during combat, always focused. Then they ask me, what’s your point of view of him? I say he’s a (BADBOY)! !So Hunterman, Browngravy, & Bad Boy travel to another state. Bad Boy won after a hard fought battle at 41 minutes. His last scratch, Bad boy hit him so hard with his chest hold he broke the front shoulder and all that attended heard this. Bad Boy’s second match was against a highly regarded 1xw who just beaten a great champion. Mr.Bill and Hunterman got Bad Boy ready for this hog. After a hard fought battle Bad Boy won in 57 minutes. Bad Boy got to his favorite spot and a pop was heard and it was over… Bad Boy’s third and CHAMPIONSHIP MATCH was into Stevie Boy, a truly classic match. Eli vs. Redboy. 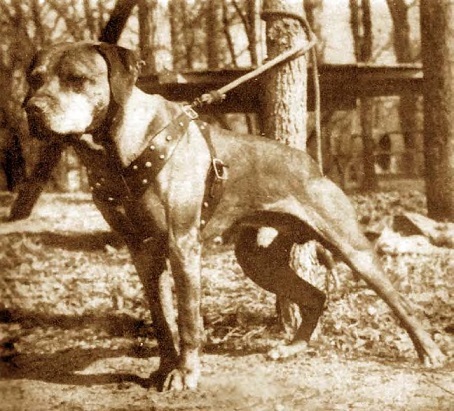 Stevie Boy was bred down from Sami the Arab’s legendary Boomer dogs. We knew we had our work cut out for us so we redesigned Bad Boy’s keep to prepare him for the task at hand. After nine weeks of training both dogs finally meet. Both dogs collide like a freight train in the center of the pit. After 2 hours and 20 minutes of battle and total of 15 scratches, Stevie Boy collapsed in the center of the pit with rear end damage and couldn’t make the count. Badboy wins and becomes a CHAMPION !!!!!!! By Mr Bill and Hunterman.